The Pebble Beach AT&T National Pro-Am is right around the corner! Tickets for the 2014 AT&T Pebble Beach National Pro-Am go on sale November 1st, and the countdown to the event has begun. The PGA TOUR features 156 professional golfers and 156 amateurs. Amateur golfers regularly include some of the world’s most notable celebrities, including comedians and actors like Ray Ramono, Bill Murray, Dennis Quaid, Kurt Russell, and many more. The Pro-Am is a celebration of golf, and there’s no better place in the world to host the premier PGA Tour than the stunning Pebble Beach, CA. With a beautiful backdrop of crashing waves and luscious greens, Pebble Beach calls to golfers and golf fans from around the world to share in this amazing event. The Monterey area is full of classic beauty to match the tastes of those who enjoy the National Pro-Am. Staying overnight on the beautiful Monterey Peninsula is a must in order to experience world-class refinements, restaurants, and more. If your PGA experience leaves you craving more from the Monterey Peninsula, the Sardine Factory is the perfect choice for the sophisticated Pro-Am palate. Highly lauded by multiple independent organizations, including TripAdvisor, the Sardine Factory’s award-winning chefs will be happy to prepare the finest dishes for their Pro-Am guests. After a decadent meal at the Sardine Factory, relax in your guest room at the Monterey Bay Inn, where guests can savor the details. Built during Cannery Row’s modern renaissance, this hotel features sleek designs, exceptional ocean views, private balconies, and an incredible rooftop hot tub. Book an in-room massage or simply unwind in our rooftop garden, sipping champagne and toasting your PGA experience. In the morning, your complimentary breakfast will be delivered to your door, the perfect fuel for your next day’s golf adventure. 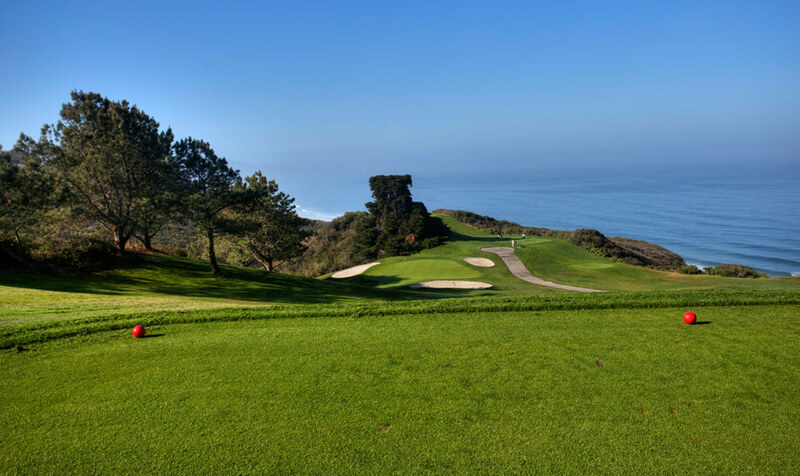 Be sure to register for the 2014 AT&T Pebble Beach National Pro-Am and book your rooms at the Spindrift Inn for a wonderful Monterey experience.